Can we just take a second to appreciate Aaron Yan? Netflix recently added a slew of Taiwanese dramas, which tempted me into watching some of them. I don’t usually watch Taiwanese dramas, because even though I really love how they are about skinship, and how they really “go for it” with the romance corniness, I have a hard time with their production value sometimes. YES I’m a little snobby about it, but it’s distracting to me when I can tell they didn’t have a sound production team go in afterward to clean things up. It’d distracting when a girl touches the guy, and his mic rustles. >.> Meh. Anyway, complaining aside, I found myself devouring a handful of these dramas. Why? This guy. Holy Toledo you guys. Wow. He’s super attractive, has a silky smooth voice, and compared to his acting peers, has a fantastic acting presence. He was generally the only one I could stand, which might have been on purpose from the directors? Or maybe he really is just a better actor than the people around him. I’m not sure. But I loved everything he did! I first saw him in Just You, which was barely tolerable simply because I immediately liked his character. The girl was mind-numbingly annoying. But I suppose there is a kind of entertainment value in wanting to reach into the screen and strangle her. Dang if he wasn’t smexy, though. I think I would have laughed too hard to take the writing seriously. Props, Aaron. Props. Then I moved on to Refresh Man, which had a girl I liked a little bit more. (A little…meh.) And I loved him even more, because he played the worlds biggest Love Troll. His script description: troll all the people. I mean, his face when he was teasing his main girl just made me down right happy. And I’m still kind of in the middle of watching it, so I haven’t finished yet. The “office drama” part of this show is boring me half to death, but I like the OTP interactions. 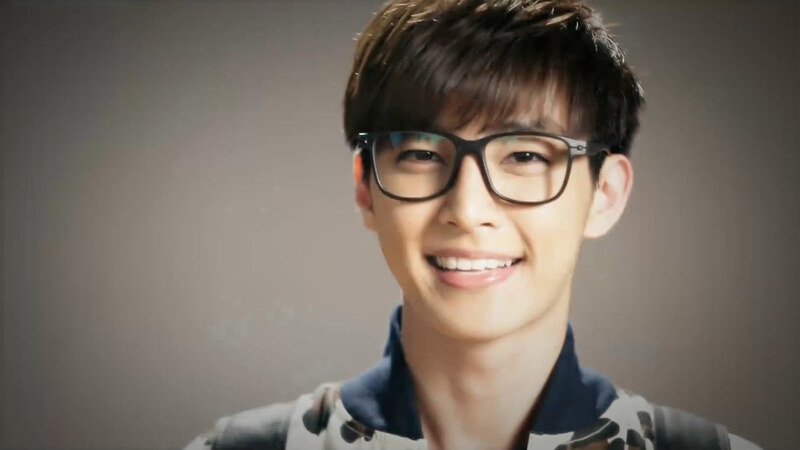 I like Aaron Yan in glasses, but I dunno if I can handle this show as a whole. My thoughts, exactly Aaron. Who came up with these frustrating girl characters? Why are they all so dumb? Why doesn’t anyone make logical choices when doing…um…anything? Maybe I’ll come back to it at some point. Because let’s be honest. This guy is in it. YOWZERS. 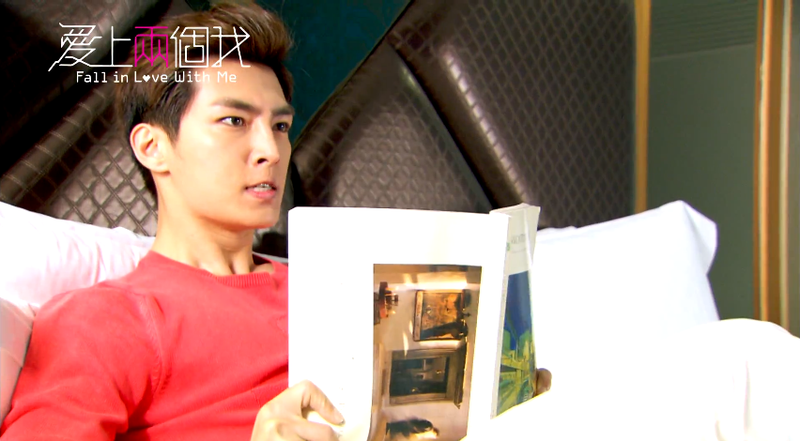 Okay, I’ll step away from Aaron Yan image hunting now. I hope this gave you a scrummy start to your week, and if you haven’t had a chance to see Aaron do his thing, I highly recommend giving his stuff a shot. I will endeavor to finish these dramas (I literally didn’t finish any of them. I gave up as soon as he got his girl), and give you an official gif review of them when I do! I recently watched Just You and thought it was good. I do! I’ve seen several Taiwanese actors that I liked, actually. Prince of Wolf is on my “maybe someday” watch list. I have to really like the man candy to get through a T-Drama, honestly! Mandarin is hard for me to listen to at times (very different from our speech patterns!) and they over act quite a bit. Bromance is on my list out of sheer curiosity. I also love the way Korean sounds! I’ve been *trying* (half heartedly lol) to learn it for a while. It’s hard not to when you watch so many dramas! I have a Korean buddy who helps me, but his English is way better than my Korean will probably ever be! I don’t know how he does it. I’ve been slowly learning some Korean too. I wish I had more time to really devote to it. But I’m always picking up new words from dramas and I read and watch a lot of the Talk to Me in Korean site’s stuff. Yeah, the particle “placeholders” really get me right now. I forget them, and get confused about which ones to use. Once I learned how to read hangeul it did get a little easier. Good luck with your language learning! It really is so hard without being immersed in it constantly. Lol great title! Can we make this a thing? I feel like it would make mondays more bearable! I am not super into anything not Korean but that guy is cute enough to make me consider it. I know, right? His voice is like silk, too. Scrumptious! 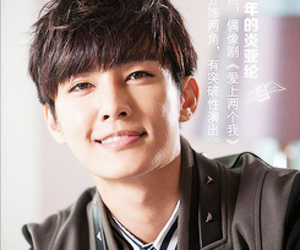 Aaron Yan is straight up dreamy. Lord have mercy. The best part of Fall in Love with you is the tent kissing scene totally worth watching. I agree why are the girls so emotionally stupid, generally naive and afraid to talk about their feelings? SMH. I feel like Aaron is the Yang Yang of Taiwan, both so impossibly boyish and handsome with killer bodies. Drool lol.